Ojai Valley Museum hosts local book fair and signing on Friday, July 13, 2012 from 5 to 7:30 pm. What a wonderful event the Book Signing was. It was fascinating to sit with each of the authors and hear their stories behind each of their books. Fabulous!! Look for the next one in the Fall! 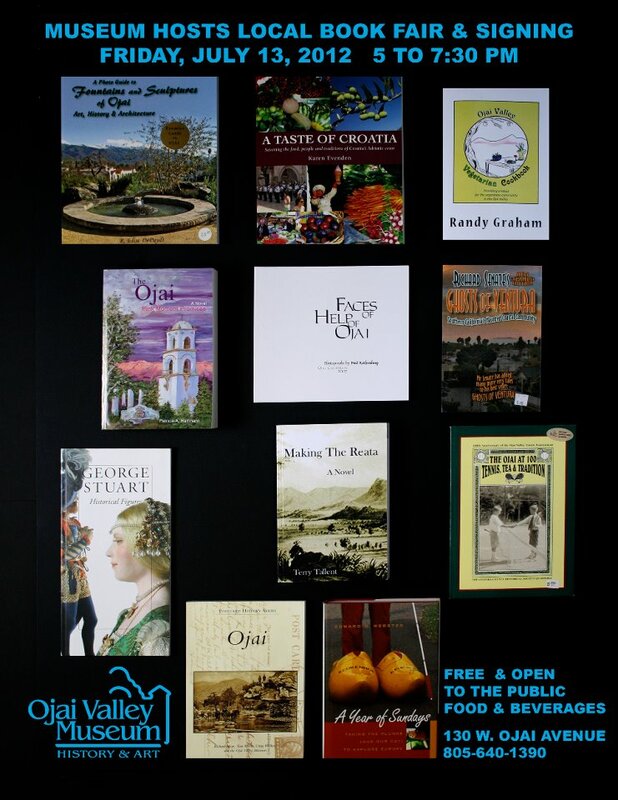 To order one of these books, call the Ojai Valley Museum Store 805-640-1390 x 206 and you can charge books by phone.